Well it’s been over six months since I was able to first trial the Adrenal Pump and it has been a Journey for sure. I’ll start by saying that adrenal pump is no quick fix. In fact, subcutaneous hydrocortisone therapy is not the right treatment for everyone with adrenal insufficiency, but it sure does work for me. Accessing the Adrenal pump was not easy for me. We scrimped and saved and attempted to fundraise but in order to cover all my health costs, including initial appointments, setting up the treatment and ongoing costs I ended up taking out a personal loan. 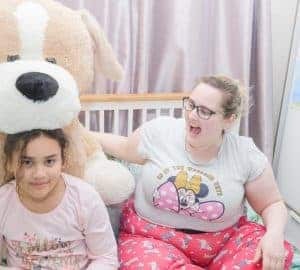 Yes it wasn’t something I really wanted to do but something I needed to do and so John and I searched for the best option to help me cover the cost of the treatment for my Adrenal Insufficiency. I’ve almost paid back my loan now (Yeah!) and just have to save another £1000 so I will have enough to purchase a new pump when the second hand one I have stops working. So far so good but my pump is over 9 years old and my Endocrinologist told me I need to have the money set aside so my treatment is not interrupted when this pump fails. When I first started on the adrenal pump, there was a lot to learn. I had to work with the endocrinology team to get the correct rates and settings for my daily dose of hydrocortisone. This is not been easy process and it has cost quite a bit of money and taken a lot of time and blood tests. I’m really pleased to say and that my blood test results from my last endocrinology appointments were all at the correct rates and I now have my adrenal medication at the correct level. One of the first things I noticed when I started the adrenal pump was an immediate reduction in pain. I’ve suffered pain for quite a few years and to be honest I wasn’t sure if this was adrenal related or caused by another condition. I still have back pain and the issues that come with having weak muscles, however the constant ongoing pain which I could not bear while I’m hydrocortisone tablets was gone within a week. I now know that when my cortisol levels are too low I will suffer pain in the muscles. This now helps me to recognise when I need to increase my medication and when my body is under extra stress. The chronic headaches I had before coming on the adrenal pump were definitely cortisol related. My headaches severely reduced once I have been on the adrenal pump for about a month. I have learnt how to recognise when I am getting low in cortisol. When I was on tablets it was really difficult to even figure this out. I was always in a vicious cycle of fatigue pain and dropping BP. Now my health is much more stable I am much more better able to recognise when I am getting more unwell. I do get unwell regular still. However, I can now manage and treat myself using my adrenal pump. If I start to struggle with my concentration or start to feel severe pain, I know there is something wrong and can give myself an immediate bolus of medication. Usually, for me, 25mg extra medication covers my needs. Sometimes I need more and have to repeat but I can do this and feel better within a few hours. In the past, I would have ended up laying in bed for days and possibly even going to hospital as my health declined. I I feel much better now that I can treat low cortisol immediately rather than waiting an hour for the tablets to kick in. I can do more, although I do still suffer from fatigue daily. My body is stronger, my body is no longer failing that is in a managed state. Having an adrenal pump is not all roses. There are a number of issues I have to deal with regularly and things I have to be vigilant about but for me, I feel it is well worth it. I think the biggest potential problem with having a cannula in my stomach 24 hours a day is being careful not to pull the cannula out and keeping it clean and free from infection. It can be really easy to get a cannula site infected. To be honest this is something I had no problem with for the first four months and then suddenly I started having issues almost every day. I’m not sure whether my skin was not clean enough our whether the water solution which is mixed with my Solu Cortef what’s causing irritation. Either way I was finding my skin would go little red and I would have to change the cannula much sooner than planned. Changing a cannula can be a pain in the bum. If you get too many irritated sites it can be difficult to find piece of skin which is clean and available for a new needle. However I have persevered I’m doing I can to change sites if the problem occurs. I think a second issue you can have with the adrenal pump is making sure you never let the medicine run out. If your medicine runs out then you are in effect putting yourself at risk of adrenal crisis. This is also the case if the cannula falls out and you don’t realise. To prevent these problems I have to do regularly check my pump, keep an eye on the medicine levels and be attentive often. While this can be a problem, I find maintaining the adrenal pump much more easier and taking tablets 4-6 times a day. The pump helps keep my mind clearer and it’s easier to remember things whereas when I was on tablets my memory was shot. I am lucky I have my husband to help me and he often asks and reminds me to check my pump and so that makes life easier. For some people the adrenal come is this is too much hassle and not the right treatment but for me the pump is the perfect treatment. My health is not perfect but it is stable and managed and I am staying out of hospital. I am able to treat sudden pain more efficiently much better control my cortisol levels. I love the adrenal pump and it has benefited me a lot. Yes I still have chronic fatigue and get unwell regular but I can rest and recover and move on rather than head towards Adrenal crisis and hospital. I can stay home with my family and go out more often and for that I’m grateful and so the pump is worth having as it gives me a better quality life. This is so very interesting to me! 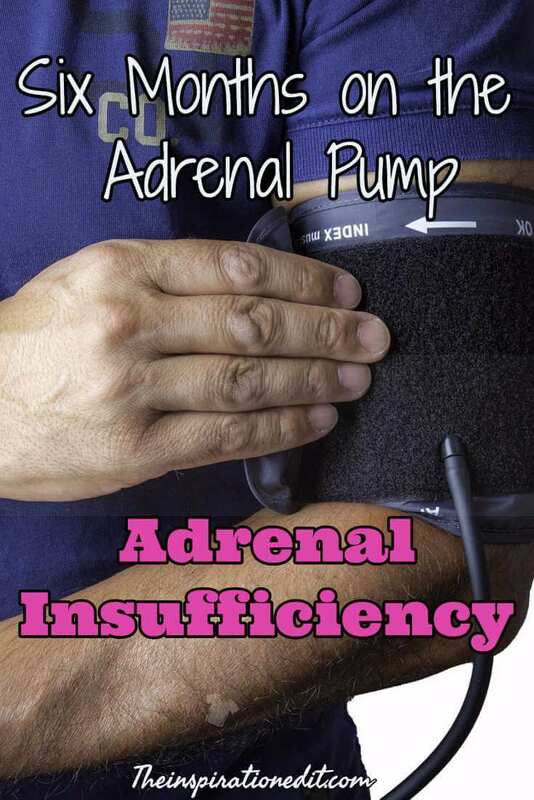 I had no idea that there was now a pump to deal with adrenal insufficiency, that is so wonderful! I know exactly what you mean about some of the downsides, such as having to be careful of the cannula and being able to find a good place to put a new site in. My husband uses an insulin pump and a continuous glucose monitor and I am the one who inserts both for him, and good sites are sometimes quite difficult to find! Oh it can be really tricky but i am used to it now. It’s not an option available to many but I fought for it and paid thousands and luckily it has improved my health and life. thanks Anosa!It’s not been easy to get to this point. I have learned a lot by reading your post. It must have been so difficult for you to go through all of this. I am diabetic and I have to poke myself twice daily, and yet I complain! I wish you well and I am happy that you have finally found the right medication plan that works for you (even if there are downsides), at least you are feeling way better. Hugs! I had never heard of this before! 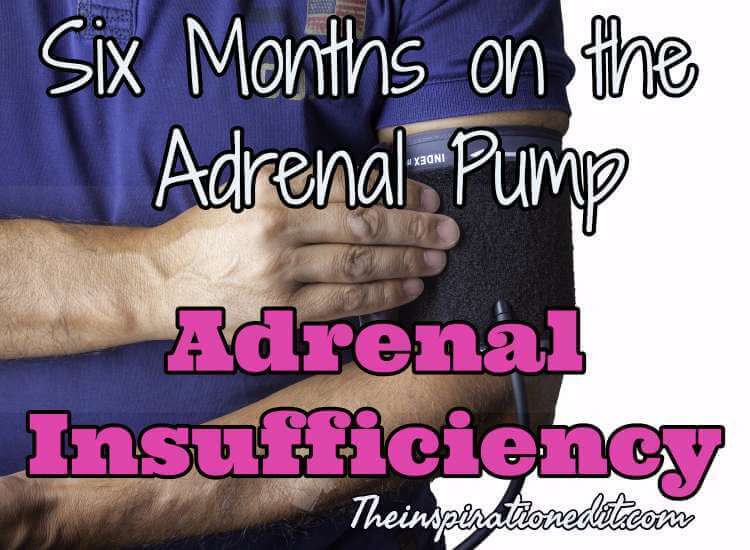 I had no idea there was even such a thing as adrenal insufficiency so it was interesting to learn about! I hope to share more about this condition online. I’ve never heard of this! I’m glad to hear it’s working good for you though. Definitely sounds like something you have to get used to! It is brilliant. It does take time to get used to but is worth it. This sounds like a great product. Glad to hear that it helps you for gain your health and life. I’m glad that the adrenal pump is helping you out and you can stay away from hospitals more. Having a caring partner is a big help when dealing with health problems. Seems like a lot to deal with, but I’m glad to know there is a pump to make it a somewhat easier. Maybe someday they will come up with a solution that doesn’t cost as much or need as much careful watch. I am glad that you have found a solution that works for you. I also have chronic health problems and it can be frustrating while you are trying to figure out which treatments are working and things that aren’t. 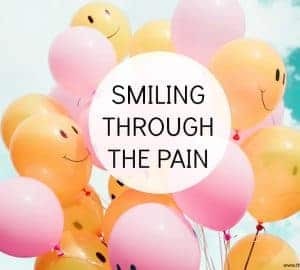 It took a bunch of drs appointments and telling my pain dr that something wasn’t right. It took a year to convince him that I think that I needed a referral to see a rheumatologist. She diagnosed me with fibromyalgia and then she caught rheumatoid arthritis at a routine visit last year. I hope that you continue to have success with your adrenal pump. I’ve never tried anything like this before. I’m glad it works well with you though and that it’s helping make your life easier. I hope you wont need it! Hi Angela, the pump is indeed a blessing for us who have adrenal insufficiency. I just got mine a month ago so I am still in the finding the best rate stage. It sure is. Great to hear you have it and that you are getting there! 🙂 Exciting times!